Pearl Jewelry has never been at the level that is now. There are more beautiful choices than ever before from all parts of the world. Just Gorgeous! 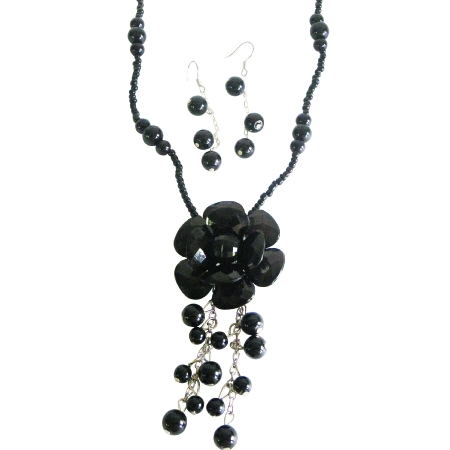 In Black Beads Necklace with tiny bead Black Pearls accented in Necklace with Black Glass flower Pendant dangling Pearls. Available with matching Earrings dangling look just terrific! & perfect with all your outfit you wear or a gift for loved. Jewelry for BridesmaidBridal Flower Prom Wedding.